BEIJING, CHINA, 30 AUGUST, 2010 ─ RTW, a leading manufacturer and distributor of professional audio metering and control devices, proudly announces that Sony China Professional Solutions Group has deployed the company’s SurroundMonitor 10800X-PLUS for use on its new HD OB van. In one of its first applications, the RTW sound meter is helping production team members on the van quickly and easily monitor audio for live broadcasts of some of Asia’s biggest events, including EXPO 2010 and the upcoming 2010 Asian Games. The SurroundMonitor 10800X-PLUS is the ideal monitoring tool for the fast pace and tight turnaround times typical for the live broadcast of such mega-events as EXPO 2010, the “World’s Fair”-style exposition currently taking place in Shanghai until 31 October. It conveniently displays all surround sound information on one split screen, allowing busy sound engineers to check at a glance a broadcast’s multichannel ppm level, phase, sound balance, center presence and overall volume. The Sony OB van’s SurroundMonitor 10800X-PLUS is also equipped with the latest firmware update, which enables it to measure loudness in accordance with the ITU BS.1770 recommendation. The SurroundMonitor 10800X-PLUS also lends a great deal of monitoring flexibility to the Sony OB van. It can handle up to eight channels of measurements, for both analog and digital signals, enabling monitoring for virtually any type of broadcast production. The meter also features other useful tools, including a 10-way correlator, an audio spectrum analyzer able to measure 31 bands of audio, a real-time audio vectorscope and AES/EBU status display. 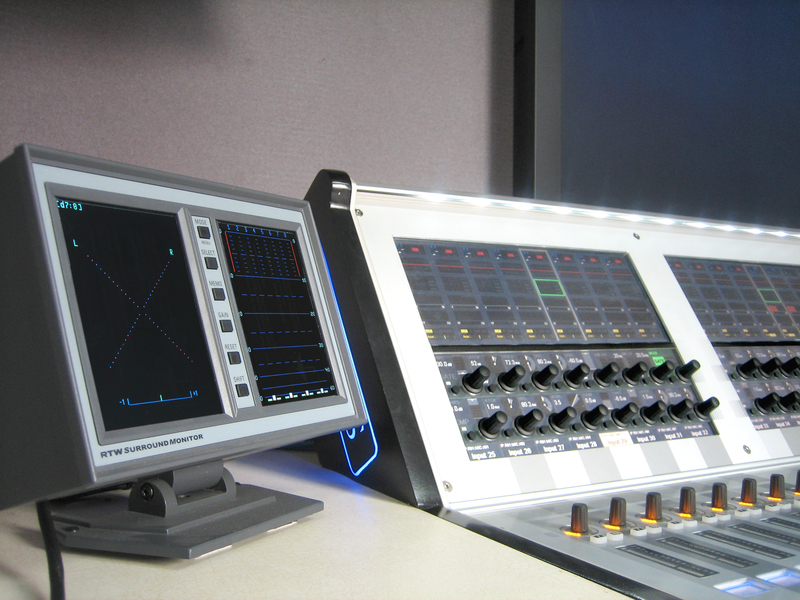 RTW’s SurroundMonitor 10800X-PLUS was the first audio visualization system to use RTW’s unique Surround Sound Analyzer, featuring a fast and easy graphical representation of surround signals. Today, it is known around the world as an invaluable aid for monitoring peak levels, ITU loudness, channel balance and surround sound in broadcast, recording, post production and mastering. For many of the existing units, a software upgrade kit with partial ITU loudness measurement functions is available. Once the Sony OB van finishes broadcasting EXPO 2010, it will move on to cover the 2010 Asian Games, taking place 12 through 27 November, 2010, in Guangzhou, China. RTW, based in Cologne (Germany), has more than 30 years of experience in designing, producing, and marketing sophisticated recording-studio systems. The company focuses its business on peak meters and audio vectorscopes, which are in use in the leading recording studios as well as by radio and TV broadcasters worldwide. The current product portfolio includes multichannel TFT-based monitoring systems for integrated surround-signal visualization using the unique and groundbreaking Surround Sound Analyzer. In June 2008, RTW was certified for the internationally accepted DIN EN ISO 9001:2000 quality-management standard. More information is available at www.rtw.de. For more information on RTW, visit www.rtw.de, http://www.facebook.com/rtw.de or call +49 221 709130.